Tallinn, Estonia, near Balti jaam (main railway station), during early April. 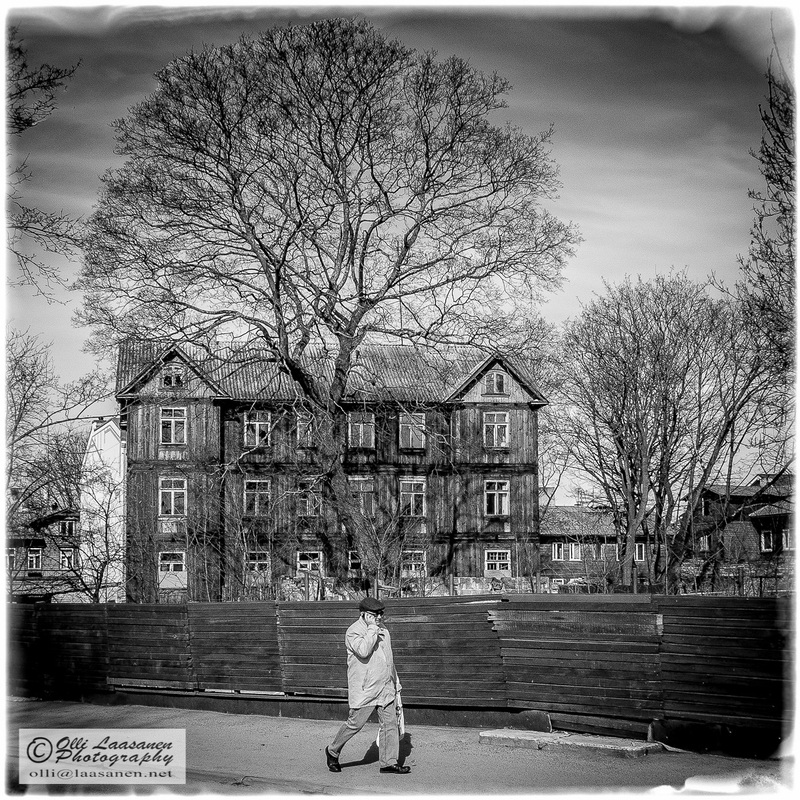 This entry was posted in Estonia, photography, Travel, Valokuvaus and tagged black and white photography, street photography, Tallinn, tree. Bookmark the permalink. The horror of being available every minute of the day or night spalls me. Today’s children will never know the bliss of escaping from the crowd, of finding a quiet spot where that can feel alone and at peace. If their phone is switched off that means they’re doing something bad. The monochrome, that claustrophobic wall of logs, the dead trees and bleak institutional style building compound the sadness. I’m so glad I grew up and matured before the age of perpetual communication. I love the contrast and clarity! The exposure is perfect & it’s a very nicely composed image. Thanks Mark, appreciate your feedback. It is! And during every visit you’ll notice how much more there is to see.